We have already seen the reality of the judgement of God, that separation from God and His goodness is real and therefore hell is real. But what does it mean to “go to hell”? There are three possible views on hell which could be summarized by the words fire, torment, and destruction. Fire: The first takes the language used in the Bible about hell most literally and those who hold this view think those in hell will literally experience everlasting fire along with everything else mentioned. Torment: The second view holds the language around hell to be metaphorical, but still very descriptive of experience. Those who hold this view don’t think those in hell will experience literal everlasting fire, but will experience everlasting something, and that something will be bad. Destruction: The two former views reflect what we call ‘eternal conscious torment’ and are considered to be the more tractional views. The third view is different. Let us look at this third view more closely since many of us already know the traditional views. As a committed Evangelical, my question must be—and it—not what does my heart tell me, but what does God’s word say? And in order to answer this question, we need to survey the biblical material afresh and to open our minds (not just our hearts) to the possibility that Scripture points in the direction of annihilation, and that ‘eternal conscious torment’ is a tradition which has to yield to the supreme authority of Scripture. – John Stott. You can read that passage in its context here. Adam is given the gift of life and is warned that the consequence of rebellion against God is death. Nothing is said about eternal eternal conscious torment at this point. What I am saying, brothers and sisters, is this: flesh and blood cannot inherit the kingdom of God, nor does the perishable inherit the imperishable. Listen, I will tell you a mystery! We will not all die, but we will all be changed, in a moment, in the twinkling of an eye, at the last trumpet. For the trumpet will sound, and the dead will be raised imperishable, and we will be changed. For this perishable body must put on imperishability, and this mortal body must put on immortality. The focus here is on life versus death, rather than heaven verses hell. The Bible does speak elsewhere of the unrepentant also being raised for judgement. But from this passage in Corinthians we can infer that the unrepentant will not receive the wonderful gift being celebrated by Paul here, namely the gift of being clothed in imperishability and immortality. We should note here that the concept of the immortality of the soul is a Greek concept that has more to do with Platonic philosophy than Biblical teaching. Our souls have not been around for eternity, they were created. Adam and Eve could have enjoyed everlasting life in the Garden, but sin messed that up. Our default without Christ is mortality. God, however, graciously offers the gift of eternal life in Christ. This last verse reminds us of the doctrine known as the penal substitutionary atonement of Jesus. That is a fancy way of saying that Jesus paid the wages of sin on our behalf. No one believes that Jesus is experiencing eternal conscious torment on our behalf. He experienced death, and in a mysterious but real way, separation from the Father and His goodness. Consider, finally, these verses that speak in a matter of fact manner of everlasting life versus destruction. But what about those passages that speak of everlasting torment? 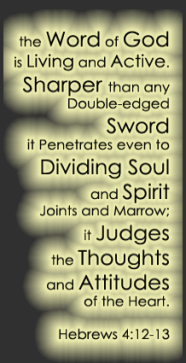 When Biblical teaching which has the sound of metaphor is placed next to Biblical teaching which sounds quite matter of fact, perhaps we should consider the matter of fact statements to be pointing to facts, and the metaphor to be poetic. “The wages of sin is death” is a matter of fact statement and so, in fact, sin without the atoning work of Jesus will lead to death, separation from the presence and goodness of God. That “there will be weeping and gnashing of teeth” (Matthew 8:12) is a poetic way of saying that to experience separation from God and his goodness, to experience death, is utterly regrettable. That too, is a fact! But to take the “weeping and gnashing of teeth” as a factual description of the experience of separation from God may not be what is intended. Likewise, when Jesus speaks of hell he often is being poetic by using the word “Gehenna”. Gehenna was locatable on a map and was a place of idol worship, including the incredibly evil practice of sacrificing children. The people of Jerusalem ended up burning their garbage there. When Jesus speaks of people going to Gehenna, in the Sermon on the Mount for example, the idea is that if you want to appeal to your own righteousness, then you will end up being taken out with the trash. Perhaps what we learn through the poetry of Jesus’ words on hell should not be lost by forcing them to become a scientific description. Which view of hell is correct? I’ll leave that up to you to research further and decide (A good start is to read both John Stott and J.I. Packer on the topic). Whichever view is correct, we agonize over our loved ones who do not know Christ. Whichever view is correct, we agonize over anyone who would choose to be separated from God and His goodness. Whichever view is correct, we thank God for His wonderful love and grace. Is it time to bring back fire and brimstone? Whichever view on hell we think is correct, are we witnesses that hell is eternal conscious torment, or that Jesus rose from the dead and is Lord, even over death? Keep in mind that our unbelieving friends do not yet believe in hell. They already believe in death. The Good News is that though “the wages of sin is death”, “the free gift of God is eternal life in Christ Jesus our Lord.” That is the Good News we share. We don’t need to be angry fire and brimstone preachers to do that. 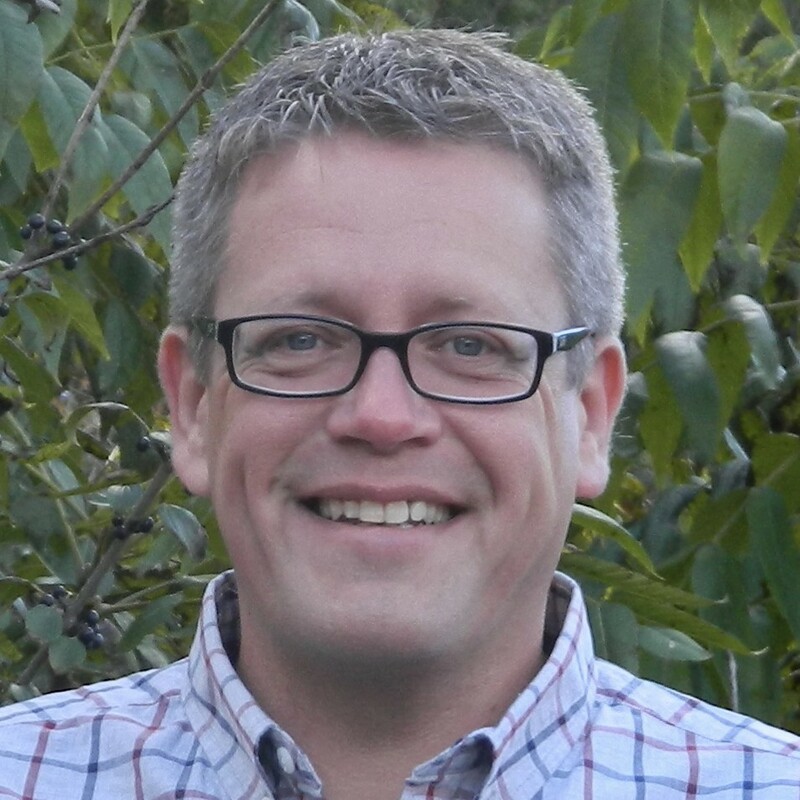 Clarke Dixon is the pastor of Calvary Baptist Church in Cobourg, Ontario, Canada. Listen to a 31-minute sermon of this topic. Everyone makes some kind of judgement about Jesus. Either he didn’t exist or he did. Either he is just a man or he is also God incarnate. Either he only teaches helpful wisdom or he also teaches truth about himself. Either he is not worth the time of day or he is worth living and dying for. We all make judgements about Jesus. In 11:18 there is a desire to kill Jesus. Jesus is judged as being a troublemaker who should be deleted. In 11:27-33 the religious leaders question Jesus’ authority. They have judged Jesus as being a fraud. In 12:12 the religious leaders want to arrest Jesus. He is judged as being an enemy. In 12:13-17 the religious leaders ask Jesus about taxes. This is a very political question which betrays their judgement of Jesus as being a traitor. In 12:18-23 the Sadducees question Jesus about marriage. They have judged Jesus as being naive. In 11:11 when Jesus looks around, it is not, as one Bible scholar says “as a tourist”, but rather as a “quality inspector” ready to make a judgement. In 11:12-14 and 20-25 Jesus enacts a parable with a cursed fig tree representing God’s judgement against Jerusalem. In 11:15-17 Jesus makes a scene at the Temple pronouncing judgement against the status quo of worship. In 12:1-11 Jesus judges the religious leaders in “The Parable of the Wicked Tenants “. In 12:24 Jesus says to the Sadducees: ‘you are wrong. you don’t know the Scriptures or the power of God’. 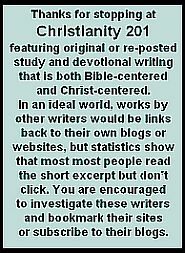 In 12:38-40 Jesus is explicit in his judgement of the scribes. In 12:41-44 Jesus may as well have come out and said ‘the poor widow is a better Jew than you religious leaders’. This all leads to chapter 13 where Jesus teaches on judgement becoming effective, just as it had done centuries before, through the destruction of the temple. The religious leaders of Jesus’ day did not stand in a position of judging Jesus. Rather they stood in the place of being judged by Jesus. Do we think that we are in a position to judge Jesus? Where does the evidence lead? While we don’t have the time to unpack that here, it is worth investigating and there are many resources available including this resource by a cold-case detective who knows how to follow evidence. For now, here is where the evidence leads: We, like the people of the first century, do not stand in a place of judging Jesus. We stand in a place of being judged by Jesus. Regarding this we have some bad news and some good news. My faith dropped from my head to my heart on the day a good friend died. I knew in my head that I was sinful and needed God’s grace, but being quite good at keeping rules, had trouble really “getting it”. But on the day of my friend’s death, I got it. Though he was a good friend, sadly I knew that I was not. On that day I read 1st Corinthians 13. While you often hear this passage read as a celebration of love at weddings, on the day of my friend’s death day I read it as a passage of judgement on my lack of love. I did not love God or people appropriately. I needed forgiveness and grace. We don’t need a checklist of rules to know that we stand in a place of judgement. The Great Commandments are enough to convince us. Now for the good news. While we stand in the place, not of judging Jesus, but of being judged by Jesus, when we stand at the foot of the cross we stand in a place of grace. Through Jesus God Himself stands in the place of judgement upon us. Will God judge us? He has already given His Son for the forgiveness of our sin, so no. Will Jesus, who has the power to condemn us, do so? No, not when he already chose to die for us and is now alive, interceding for us. 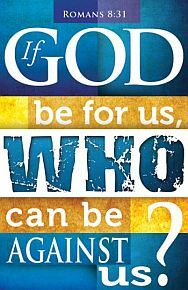 God is for us and not against us. Unless, of course, in our “better judgement” we want to have nothing to do with Him. Listen to the audio of the full sermon on which this based (38 minutes). 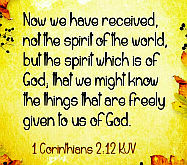 What about those who don’t follow the Spirit? There is a place for those who love to live a lie… “walk in darkness.” “Blessed are those who wash their robes (“do his commandments” KJV), that they may have the right to the tree of life and may go through the gates into the city. [the New Jerusalem] Outside are the dogs, those who practice magic arts, the sexually immoral, the murderers, the idolaters and everyone who loves and practices falsehood [“love to live a lie.”, NLT] .” Rev. 22:14-15, NIV) Those who “love to live a lie” or “walk in darkness,” who are not Spirit-led, will dwell apart from Christ OUTSIDE the walls of the New Jerusalem. Some have said that such an understanding is not revealed in the Word of God, but a careful study points clearly to this reality. The revelation of Christ reveals the presence of an outside and an inside of the Royal City. Those inside will have obeyed the Spirit, while those on the outside are the redeemed who, although they have confessed Christ as lord/Lord have not subjected themselves to His rule. They have denied the Spirit and have lived on their own terms… they will have lived in darkness, have loved to live a lie. In considering this portion of Christ’s revelation, some claim that the outside references hell. However, the Word reveals that “the kings of the earth will bring their splendor into it [the New Jerusalem].” (Rev. 21:24) There will neither be kings ruling hell, nor will there be any splendor there. Perhaps the best way to understand this teaching is to examine those who are to dwell outside the city walls. They are the “dogs,” those “who practice magic arts,” the “sexually immoral”, “murderers”, “idolaters,” and “everyone else who loves and practices falsehood.” The “dogs” are the evil of the house of Israel (Philippians 3:2), the sexually immoral may have committed adultery with their eyes (Matthew 5:28), murderers are those who have hated their brothers (1 John 3:15), the idolaters are the greedy (Colossians 3:5), and those who practice falsehood may be those who walk in darkness (1 John 1:6) after having proclaimed Christ as their lord/Lord. Will there be a separation of the redeemed according to their walk? The NLT of 2 Thessalonians 1: 8-9 reads: “He will come with his mighty angels, in flaming fire, bringing judgment on those who do not know (appreciate/see) God and on those who refuse to obey the Good News of our Lord Jesus. They will be punished with eternal destruction, forever separated from the Lord and from his glorious power.” In Malachi the LORD revealed, “And you will again see the distinction between the righteous and the wicked, between those who serve God and those who don’t.” (Malachi 3:18, NIV) Daniel 12:2 also referenced some who following the Great Tribulation will be resurrected either to eternal life or to shame and contempt: “Multitudes who sleep in the dust of the earth will awake: some to everlasting life, others to shame and everlasting contempt.” (NIV) This is the first resurrection and precedes the rule of Christ on the earth…the resurrection of the redeemed. My last year at Yale I was able to take Systematic Theology with Miroslav Volf. It goes without saying that there are many things I will always remember from that class, but one that especially stuck out to me was the time Prof. Volf shared his least favorite verse in the Bible. To be honest, the cynic in me was excepting to witness the cynic in Prof. Volf. I figured he would rattle off a string of cliché/misunderstood passages like Jeremiah 29:11 or that maybe he’d go old school and rant about the prayer of Jabez. Being the great theologian he is, he took the issue seriously. So what was Miroslav Volf’s least favorite verse in the Bible? What if God, desiring to show his wrath and to make known his power, has endured with much patience the objects of wrath that are made for destruction? Mankind has free will and God will not override our choices in life. Throughout our entire life time we are presented with the opportunity to accept the gospel message, which has the power to save us, or we can reject it. The outcome of this choice is based solely upon us. God does not choose for us, nor does he predestine some to be saved and some to be damned. Predestination rests solely upon His foreknowledge of our acceptance of His grace ( Romans 8:29, I Peter 1:2 ). He knew who would accept his message and so he also chose them based upon that foreknowledge. In the same way, He knew who would reject him and so they were prepared for destruction based upon that foreknowledge of their free will and choice. In today’s passage Paul writes to us that God endured with exceeding patience the objects of his wrath. These are the individuals that have rejected his salvation message and the payment for their sin. These individuals are destined for destruction of their own volition because they have chosen this path for their life and have rejected Jesus. It is easy to struggle over a statement such as this and focus on the wrath of God towards them, but what about his enduring patience concerning them? They are clearly enemies of cross and yet God is patient with them. He tolerates and endures those who have rejected his salvation and forgiveness of sins. Hebrews says, “If we deliberately keep on sinning after we have received the knowledge of the truth, no sacrifice for sins is left, but only a fearful expectation of judgment and of raging fire that will consume the enemies of God” ( Hebrews 10:26-27 ). Once we have heard the truth and know that the only way to be reconciled to God is through faith in Jesus’ atoning work on the cross, we have to make a decision whether or not we accept this payment for our sins. If we do not, there is no other sacrifice or payment option left to us, only judgment. Hebrews goes on to say, “Anyone who rejected the law of Moses died without mercy on the testimony of two or three witnesses. How much more severely do you think a man deserves to be punished who has trampled the Son of God under foot, who has treated as an unholy thing the blood of the covenant that sanctified him, and who has insulted the Spirit of grace? For we know him who said, “It is mine to avenge; I will repay,” and again, “The Lord will judge his people.” It is a dreadful thing to fall into the hands of the living God. ( Hebrews 10:28-31 ). It is severe to reject Jesus and his incredible gift of salvation. God’s wrath was fully satisfied through his redemptive work on the cross. However, if we do not accept this payment for our sins, then eventually those accounts will be called overdue. Payment will have to be rendered and how do you thing that God will respond to someone who has blatantly rejected his very own Son. There will be no acceptable alternative payment and it is a dreadful thing to fall into the hands of the living God when it is God’s very own precious Son that has been trampled and rejected in the process. The amazing thing about a passage such as this, is that it shows an incredible facet of God’s nature when you fully understand it. God is not dealing unfairly with mankind, the opposite is actually true, He is showing incredible mercy and grace in tolerating their rejection of Jesus. He does this to demonstrate to believers His incredible wealth of mercy. It shows us the depth of his love and grace that has no bounds. It is important to get revelation of the this truth because this will change the way we look at life. If we can understand how patient and loving God is towards even those who reject him we will know how accepted and loved we are in Christ Jesus. God even uses his enemies to show his incredible love towards us. When we stand before Christ and see his majesty and splendor we will fully understand how offensive and awful it is to reject such a gift. We will understand the severity of it and the depths of the mercy displayed in patiently enduring His enemies. Understanding this truth is pivotal in understanding the nature of God. He grace and mercy knows no end and his loving kindness extends to the ends of the earth. Today, it is my prayer that you recognize the awesomeness of Jesus and how he can saved you from destruction and hell. The good news for today is that he also saves us from so much more, he has come to give us eternal life which starts the moment you come to Him and accept his free gift of grace. May you understand how blessed you are in Christ Jesus, amen! Regardless of how satisfactory this answer is, the two most important words in Romans 9:22-23 that almost everyone ignores are “What if.” Paul gives a very different level of force to what he is saying by framing it as two “What if” questions rather than making very direct, unequivocal statements which he does in plenty of other places. It is remarkable how many double-predestinarians have completely ignored these two critical words.